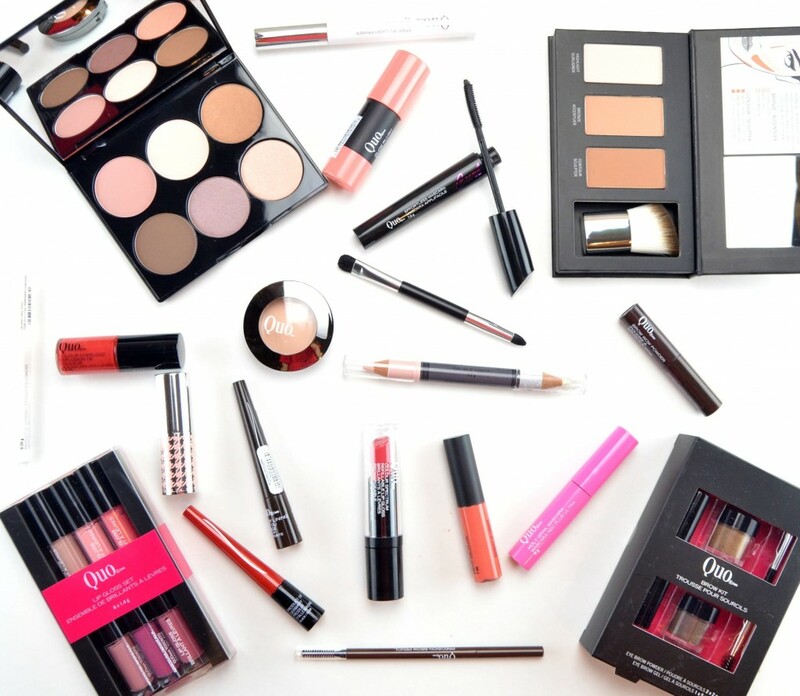 Can you believe that Quo Cosmetics has been around for 16 years? Yep, you read that correctly, Quo is celebrating its sweet 16 this year. 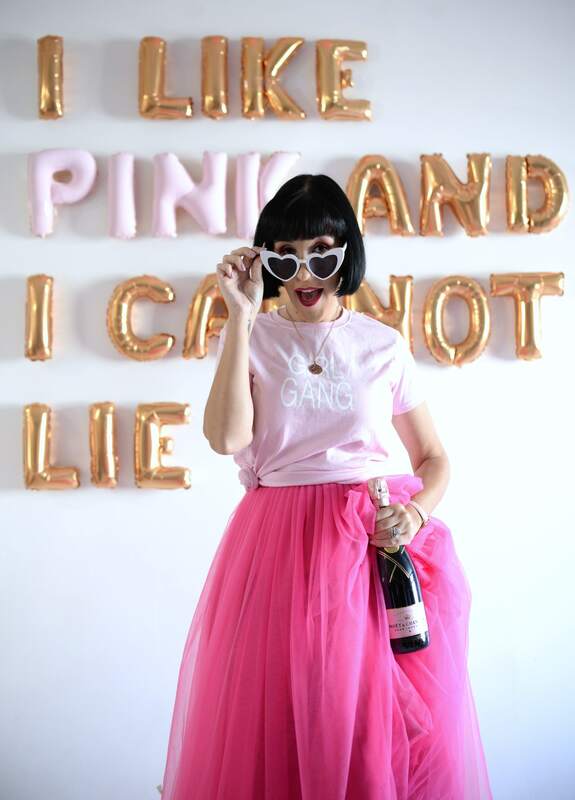 I’ve featured this amazing brand a ton on this fashion blog over the past 6 years, but this season the brand has recently launched a ton of new, innovated and affordable cosmetics, that I couldn’t wait to share. We’re talking over 60 different sku’s to add to their already popular lineup. With so many products to review and showcase, I suggest grabbing a coffee, getting comfy and get your wallets ready. Let’s start off my chatting all things eyes. The brand has released 2 new mascaras, a primer, 3 new liners, brow powders, pencils and even a deluxe brow kit, along with a few eye palettes and single eye shadows. First up, lash primers and mascaras. 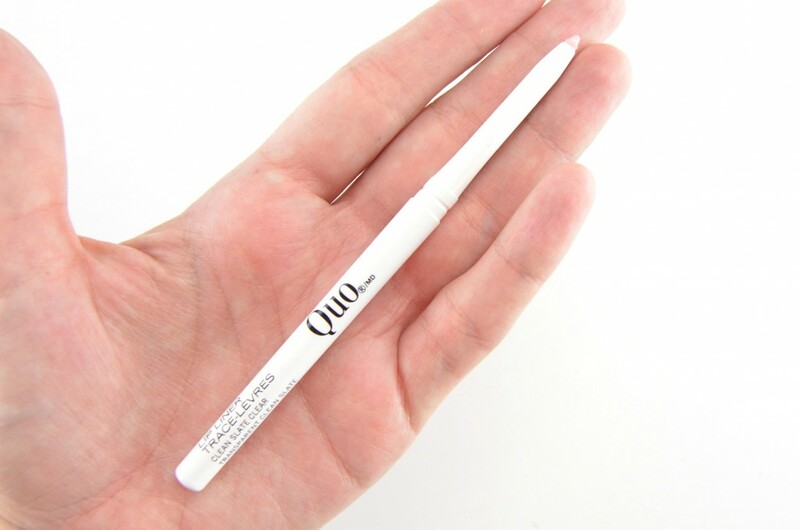 The Quo Prep My Lash Primer will help to not only lengthen lashes, but help prep it for mascara. Although it’s hard for me to go back to white primer, after falling in love with Estée Lauder Little Black Primer, this one’s surprisingly just as good. It lifts at the root for an extra boost of volume, while adding definition and length, even before my mascara. 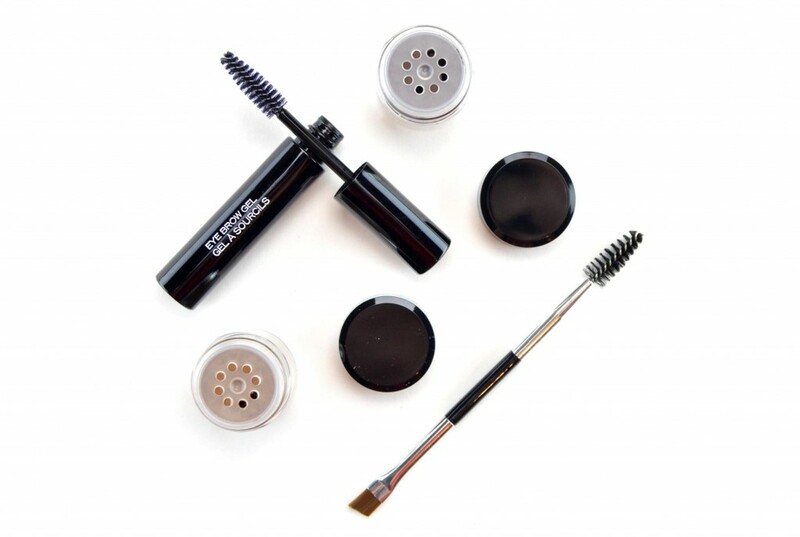 It helps to keep the lashes smooth, for a seamless mascara application, locks curl in place and protects your lashes from the damaging effects of mascara. It retails for $12. 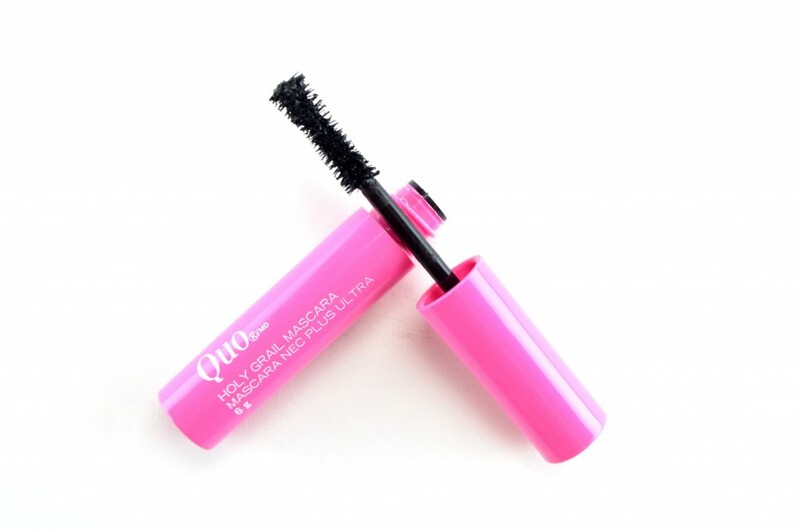 Quo Holy Grail Mascara is a volume-building mascara that comes in an adorable mini, pink tube. I don’t know about it being my HG mascara, but I do love that its travel friendly. It has an unusual brush that grabs onto each lash and coats it in extremely black formula that adds both volume and length. It retails for $12. 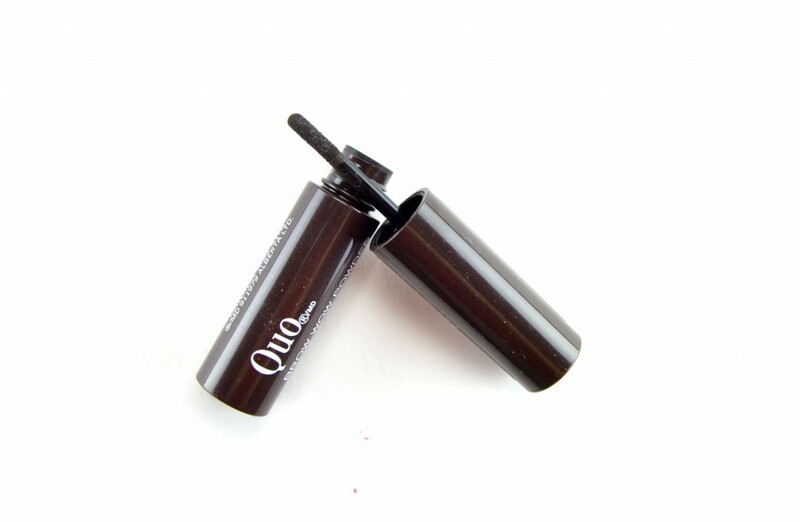 Quo Effortless Mascara unique, slightly smaller, thinner, curved brush grabs onto each lash to help curl and lengthen the lashes for seamless and easy application. Not only does it coat each lash with super black pigments, it actually gives the appearance of thicker, darker lashes. It comes in 2 shades, Black and Blue and retails for $12. Let’s talk liners now, Art of Lining Micro Tip is a liquid liner with an ultra-fine precision tip that helps to create even the most detailed of lines with accuracy and ease. It glides onto the lid with ease, without pulling or tugging on the lash line and it’s extremely pigmented, fairly opaque formula creates intense colour payoff in a single swipe. It sets and dries within a few seconds that doesn’t seem to crease or fade for the entire day. We’re talking 10+ hours of vivid, bold, rich colour. It retails for $12 in shades Black and Brown. 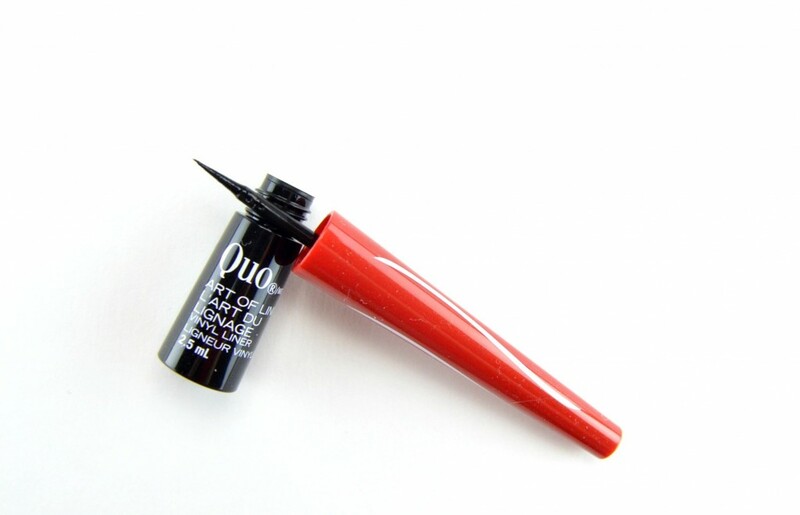 Quo Art of Lining Vinyl Liner is also a liquid liner with the same ultra-fine precision tip but features a wet finish. I actually prefer my liners to have a matte finish, but for those that look for a shiny finish, might enjoy this one. It retails for $12. Brows on fleek, no problem with the new Quo Brow Wow Powder thanks to its ultra-fine loose powder with unique brush tip to help instantly create fuller, more defined brows. Its long-lasting formula ensures each hair stays in place the entire day, no gel needed. It retails for $12 in shades Taupe and Brunette. 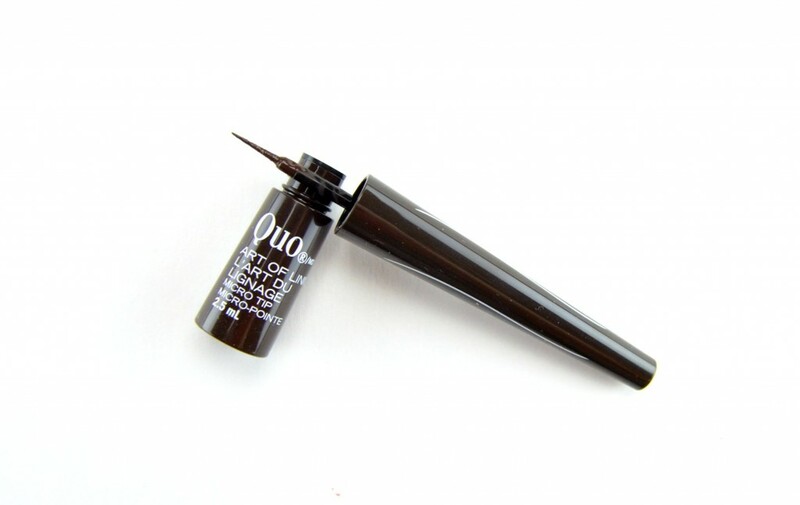 Not a fan of the powder, no problem, try the Quo Precision Brow Pencil. Everything you’d expect in a brow pencil in a convenient and easy to use, retractable design. 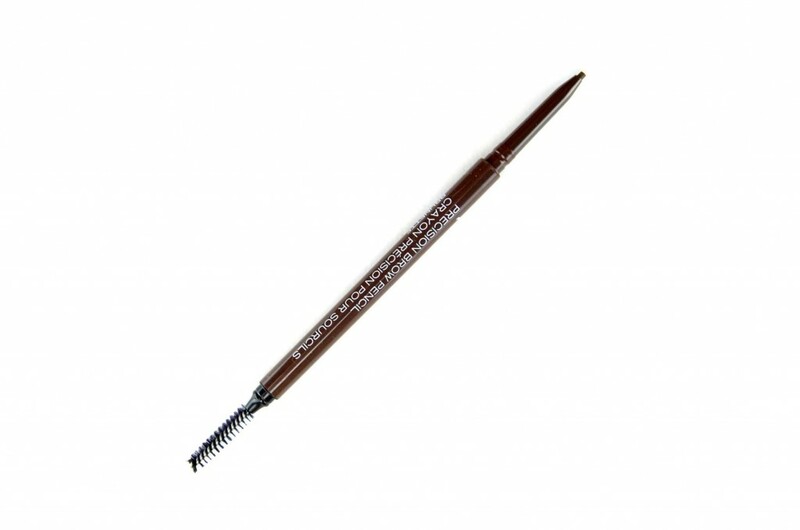 It’s also double-side, one end features the ultra-slim pencil with a rich and creamy formula that glides across the brows with ease for precise detailing, and on the other end, a spoolie, for combing through and setting each hair into place. It retails for $12 on shades Taupe and Brunette. 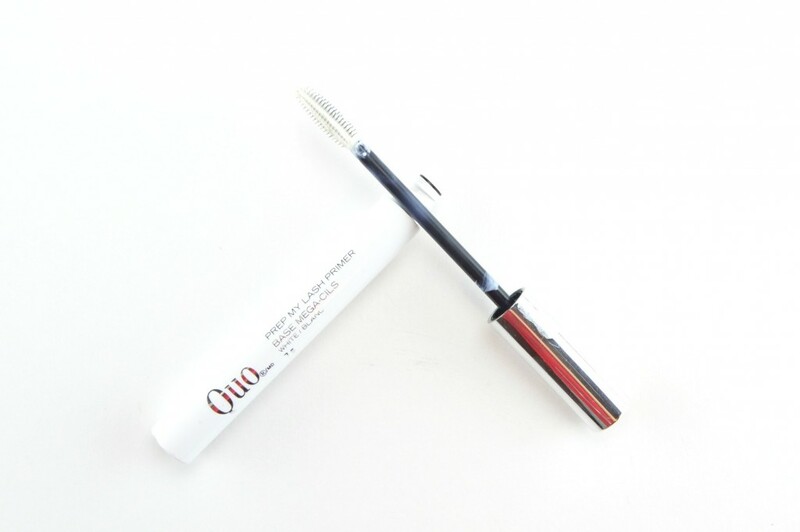 Quo Double Agent is a double-ended pencil that features a soft pink side to highlight the brow bone, along with a soft cream side to help brighten the inner corners of your eyes to help give the illusion of wider, larger eyes. It retails for $12. 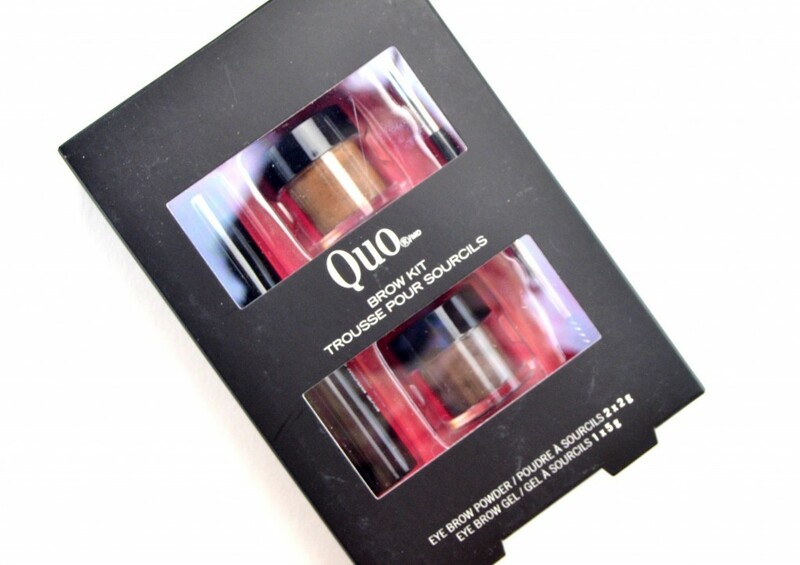 If those two products combined don’t leave you happy, the Quo Brow Kit sure will. It comes with everything you need to create perfect and stunning brows this summer, including 2 brow powders that allow you to mix and match the shades to create your perfect colour, along with a double-ended tool that features an angled brush on one end to easily apply the product and a spoolie on the other end. It also comes with a brow gel to help lock and seal everything into place and to ensure your brows hold their shape all day long. It retails for $18. Finishing up the eye looks with 2 eye palettes and 6 eye shadow singles. The Quo True Hues Eye Shadow Palette is designed to help you create an array of different neutral and bold looks in an airy matte finish. 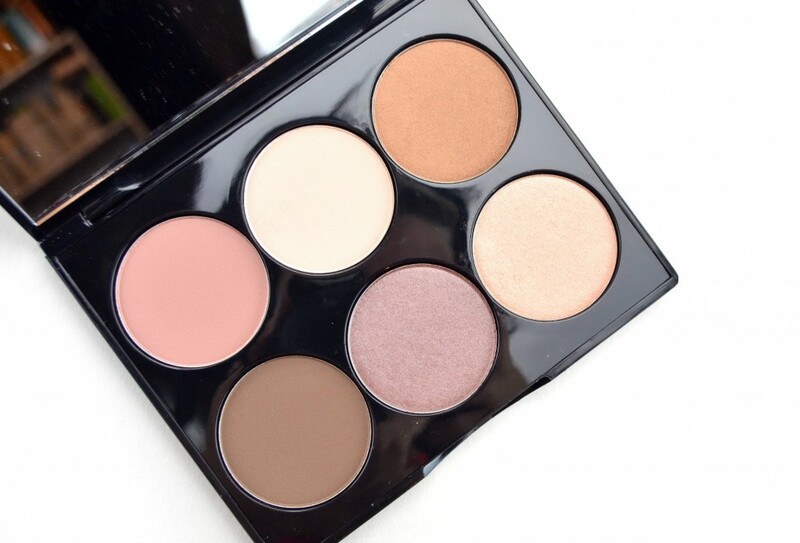 It features 6 soft and luminous tones that are silky smooth, fairly pigmented, easy to work with and extremely blendable. You can achieve several different looks that can easily take you from day to night, work or play. It retails for $24 in two colour palettes, Simple Pleasures and Romance Novel (shown below). The Quo Back to Basics Eye Shadows come housed in a sleek, gunmetal case with a slightly domed shape lid that you can clearly see the shades that lie within. To me, these shadows look much more luxe and expensive than they cost. These richly-pigmented colours are as vivid on the skin as in the pan and have a silky-soft and smooth texture to them. They apply easily, glide onto the skin beautifully and blend like a dream. They wear for an entire 10 hours with no creasing or smudging when worn with a primer. It retails for $10 each in 6 shades (Flesh shown below). Another product that looks and feel much more expensive than it is, is the new Quo Colour Lust Lipstick. Not only does it have a magnetic closure lid, which ensures it doesn’t pop open at the bottom of your purse, it features a lovely dotted design on the actual bullet. The attention to detail is very high-end. It also has an incredibly rich, soft and creamy texture that provides a sheer wash of colour to the lips in a swipe or two. 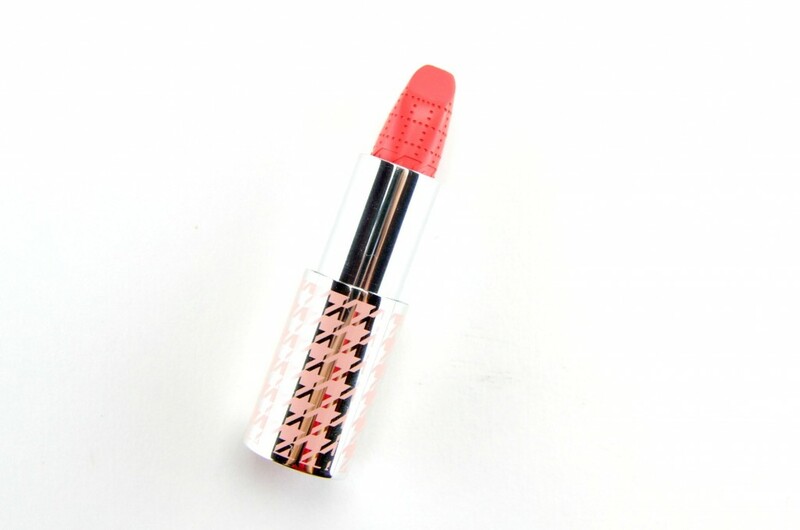 Its lightweight formula is moisturizing, comfortable to wear the entire day and helps to keep my lips hydrated. 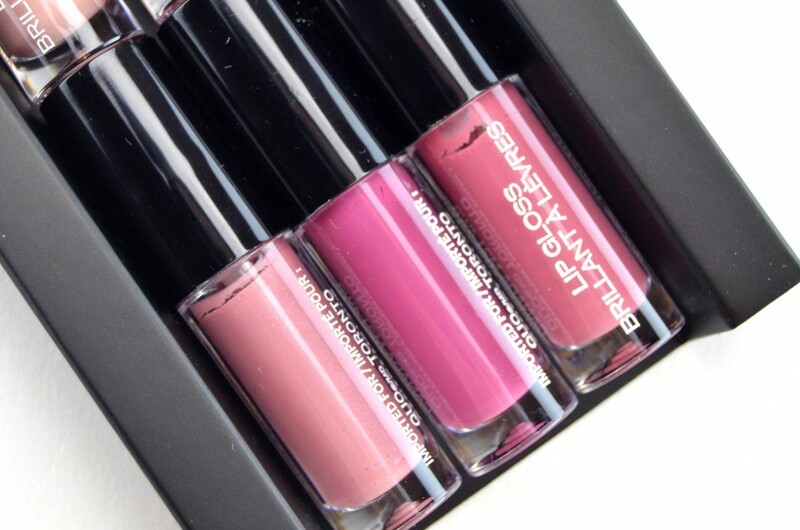 Although not crazy pigmented, it does provide a nice pop of colour to the lips with a luminous and brilliant shine. It lasts a solid 4+ hours before slowly starting to fade and it has a sweet candy scent. If you’re going to pick up anything from the new lineup, one of these 6 new lippies would be the one I suggest. It retails for $14 (Pink Wisp shown below). Quo Lip Velour is a radiant liquid lipstick that lasts throughout the entire day and sets and dries to a completely matte finish. It has a rich and creamy texture that’s easy to apply thanks to its deluxe lip brush applicator that provides a flawless coverage in a single swipe. I did find it to be a tad drying after a few hours, but it really does stay put for hours on end. It retails for $12 in 6 shades (Mango Tango shown below). 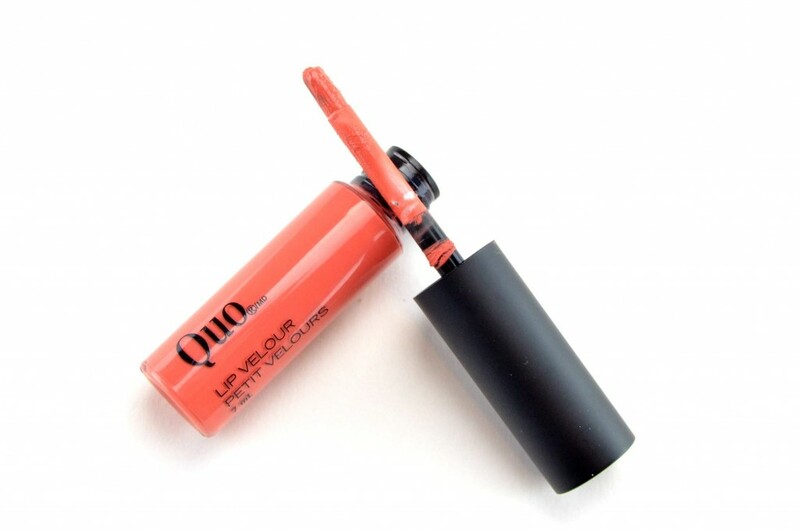 Quo Colour Overload Lip Gloss is a nourishing, high-pigmented gloss with a satin-like finish. 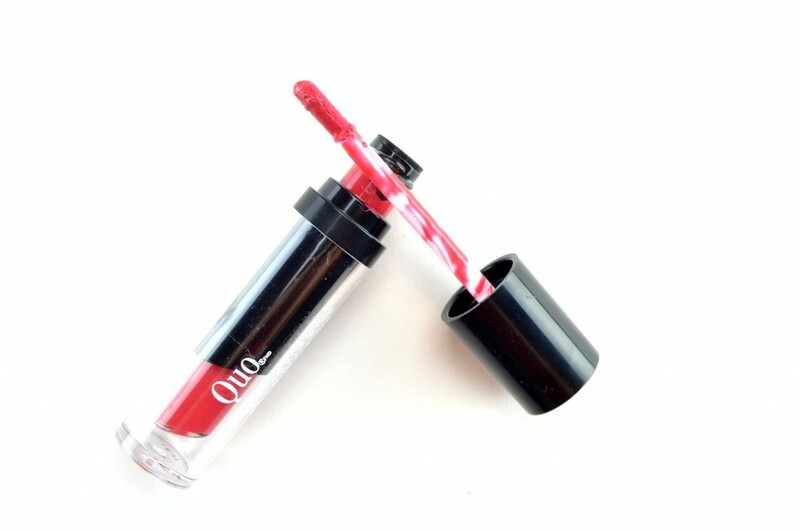 It’s lightweight, almost weightless formula is comfortable to wear throughout the entire day and it doesn’t seem as drying as the liquid lipstick above. It’s non-sticky, intensely opaque and adds just the perfect amount of sheen and shine to the lips without looking too glossy. It retails for $12 in 6 shades (Candy Apple shown below). Quo Colour Spectrum Refillable Lip Gloss is a unique interchangeable lip gloss that allows you to refill your lip gloss tube with shades found within the collection. This is an extremely new and innovative product, and I’ve seen nothing like it on the market today. How often I’d actually change out the lip gloss is questionable, I think if the refills cost a little less ($10 each), I’d probably do it more often? It retails for $12 in 7 shades (Locked Down shown below). 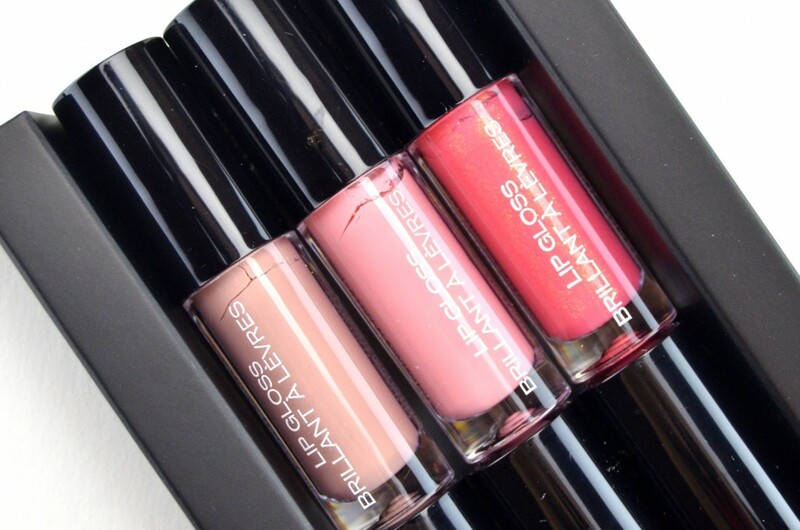 Quo Lip Gloss Set features 6 mini lip glosses in an array of beautiful colours and finishes. It comes with a doe-foot applicator for easy application and although it has a fairly thin consistency, it has a cream and smooth texture. It’s extremely lightweight once applied, and although it does have somewhat of a tacky consistency, it’s not overly sticky or goopy. It’s not overly pigmented, but does provide a sheer wash of colour with a high gloss finish and looks beautiful paired over your favourite lipstick for that extra pop of shine. It retails for $18. 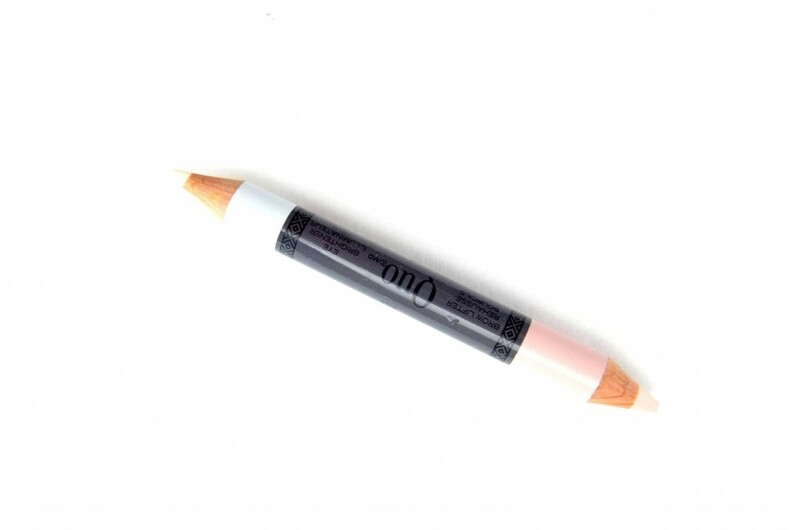 Quo Lip Liner in Clean Slate Clear is a colourless lip liner that helps prevent your lipstick shades from feathering and bleeding outside of the line. Much like the original No Bleeding Lips Secret Lip Liner, these are ideal for traveling, as you don’t have to fuss with several different lip liners to match each shade of lipstick you bring, but also perfect for everyday use, when you can’t find that perfect liner to match that unique lipstick shade. It retails for $13. 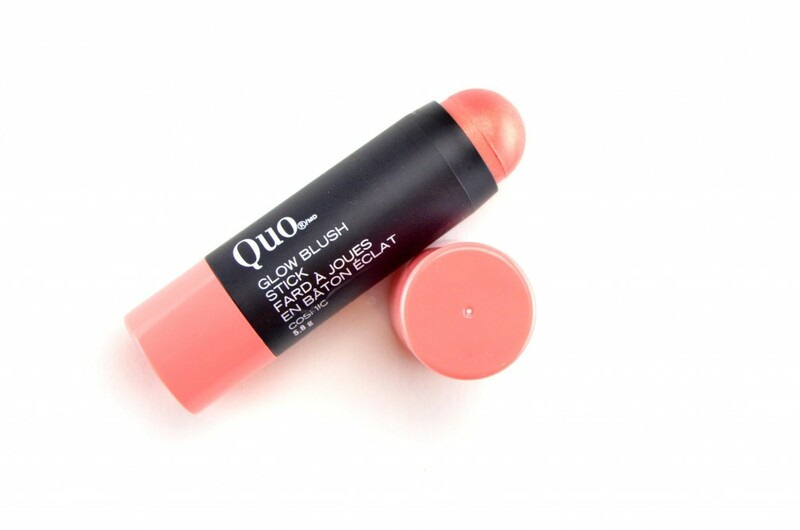 Quo Glow Blush Stick has a unique cream-to-powder formula that helps to add a soft touch of subtle colour to the cheeks with its silky, creamy texture. 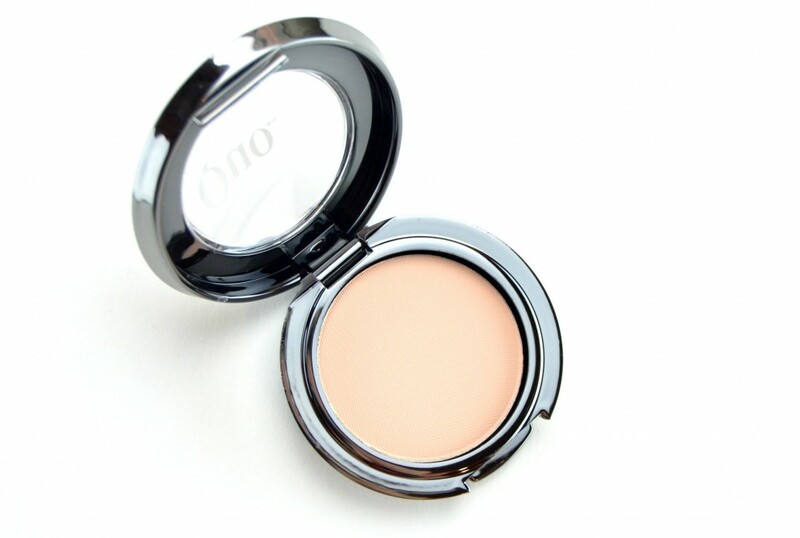 It’s extremely easy to blend out for a completely flawless and seamless finish. It fits perfectly in the palm of your hand to have total control, to effortlessly apply the blush directly to the skin. It adds a natural glow and a slight pop of colour. It retails for $15 in 3 shades (Cosmic shown below). 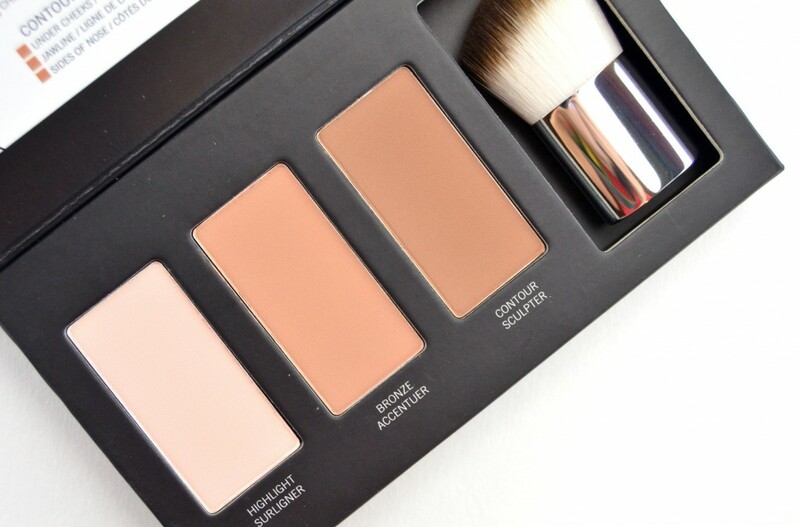 Quo Contour Kit comes in a black sleek compact with a highlight, bronzer and contour shade within. It also features a mini mirror on the inside lid along with an angled brush for easy application. The highlight shade can be used to highlight the brow bone, above the cheeks, bridge of nose and cupids bow, whereas the bronzer shade can be used to sculpt the cheeks, nose and chin and finally the slightly warmer and deeper contour shade will help contour the jawline and sides of nose. It’s the perfect palette for on the go. It retails for $23 in 2 shades (Light shown below). Also in the new lineup, Art Of Lining Brush Tip is a liquid liner with thick tip for intensely bold and thick lines and retails for $12. 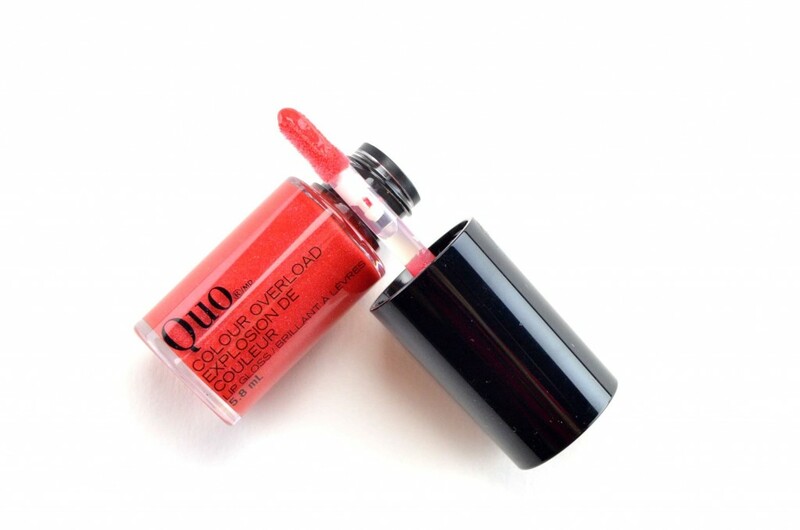 Quo Stain’ N Love Lip Glosses are a balm-like stain that helps to naturally deepen your natural lip colour for a bright and personalized look. Comes in 4 shades and retails for $14. Quo Lip Cocktail Tinted Lip Balms are a creamy scented lip balm with a sheer, subtle wash of colour in 6 new shades and retail for $11 each. 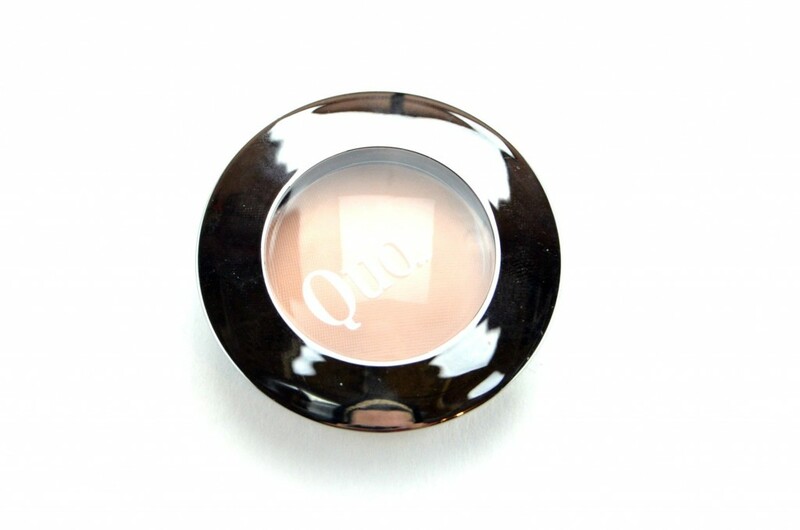 Quo Forever Flawless Cushion System Foundation is a portable liquid foundation that helps to nourish that skin, while creating a natural, flawless finish. It retails for $22, refills for $17 in 4 shades.